It's been a busy time for public speaking engagements. Events in London and Birmingham and elsewhere - and a few very 'local' events. I was delighted to speak at Burry Port Probus Club at the Ashburnham Hotel in Pembrey. 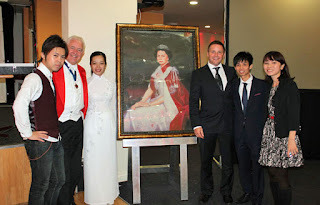 It was a similar treat to speak - and be guest of honour - at Llanelli Rotary Club's annual President's Dinner staged at the Stradey Park Hotel, Llanelli. 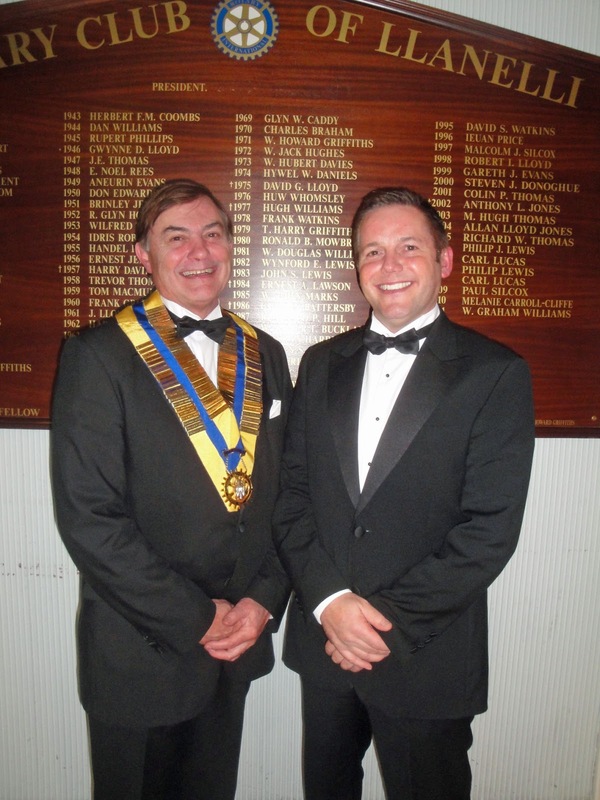 I am pictured with Llanelli Rotary Club President Alan Owen. Busy day again tomorrow as I am one of the members of a panel at a Guardian & Lloyds TSB Breakfast Seminar being held at the Cardiff Marriott Hotel. The Institute of Directors is running a series of breakfast seminars across the country for business leaders, in association with the Guardian Small Business Network and Lloyds TSB Commercial. The seminars bring together a panel of well known business specialists to discuss the key issues of the day. Run in the style of Question Time, attendees will have an opportunity to ask questions to the panel and contribute to the debate. The Cardiff seminar will be co-chaired by a Guardian business journalist and the IoD Wales Director, Robert Lloyd Griffiths. The panel is made up of well-known sector specialists and a business professional from Lloyds TSB Commercial. New markets equal new opportunities for business: whether it’s expanding beyond your local region, opening up a new customer base for your products or taking your business global. What are the tools and support available and how can you form partnerships to achieve success? With the government’s commitment to opening procurement routes for SME’s how can businesses be best placed to win these opportunities? Is meeting sustainability standards the key to unlocking public sector contracts? Students from the Entrepreneurship Academy Wales should be in the TV spotlight tonight. ITVWales were at a special event held at the Innovation Foundry at the Dylan Thomas Centre, Swansea, last night. They were there to film the 'speed-dating' evening which helped match up mentors and students. The mentors, including myself, will be helping to guide the students through their course and develop their business ideas and strategies. Before the 'speed-dating', however, I had a surprise for the students. Academy Director Sue Poole had put together funds for a special challenge for the students. The students were split into two teams - one boys and one girls. They have each been given £250 each and two 'free' pitches/stalls at Swansea Indoor Market for December 4 and 5. The teams have to come up with a sales idea for their market stall. There's a loading bay for them to deliver their goods - but no electricity on the stall. The team whch makes the most profit on the original fund of £250 will be the winner. The winning students will get to keep the profits. Indus Films and Television will be filming at the market during the week and should be able to put the spotlight on the young entrepreneurs at work. When I announced the challenge to the students last night, they were thrilled. Very quickly, they started to form some ideas about what they will sell at the market stall. It promises to be a good test of the youngsters and their business skills and I am looking forward to seeing the contest unfold. What a combination this afternoon! Doing a spot of filming for ITVWales today as they put the spotlight on the Entrepreneurship Academy Wales at The Foundry at the Dylan Thomas Centre in Swansea. Then, it's a spot of 'speed-dating'. Well, it's not quite what you think . . . 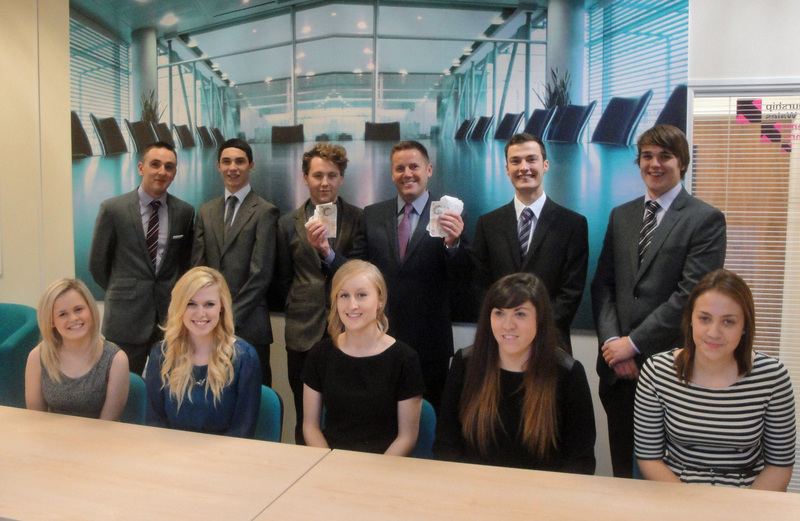 The 'speed-dating' will help to match students of the Entrepreneurship Academy Wales with successful business mentors. It promises to be an exciting afternoon for one and all. Here's hoping we can get some of the Entrepreneurship Academy Wales students off to a flying start. There's a nice article in the Daily Post newspaper today. 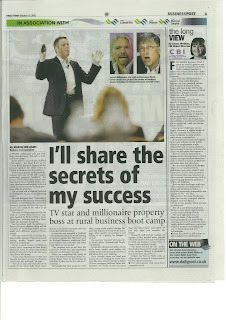 The paper ciculates in Liverpool and North Wales and puts the spotlight on a boot camp for business. Long drive to central North Island in New Zealand for the next leg of my tour. This is a really beautiful country. I have another speaking engagement this evening. The feedback has been great so far. The audiences have been very enthusiastic and I've met some very committed businesspeople. Luckily for me, this trip will not be all public speaking. I have four days at the end of the speaking tour to enjoy this fab country. Highlights so far include a visit to Tauranga in the Bay of Plenty. It's been a great day. I've been speaking in Auckland at two events. I'm off early tomorrow to Wellington, where I have another two speaking engagements. It's a busy and hecic schedule, but very rewarding and I'm meeting lots of great people. Great to be helping them with their business ideas. This is the picture slideshow from the recent Young People's Business Breakfast staged at The Marriott Hotel, Swansea. It was a delight to be at the launch of the Entrepreneurship Academy Wales this week. It took place at the new Innovation Foundry at the Dylan Thomas Centre, Swansea. I had a long chat with the Welsh Government's Business Minister Edwina Hart. She was very down to earth and sensible lady with a real passion for helping young people. Photos from the event are in this slideshow. Sorry, haven't been able to catch up with this blog - but it's been a busy time. Great launch for the Entrepreneurship Academy Wales in Swansea this week. Then it was off to the airport . . .
A380 Emirates flight to Dubai, where we had a slight delay. That meant cutting it fine for my flight to Auckland, where I literally landed and went straight on stage. 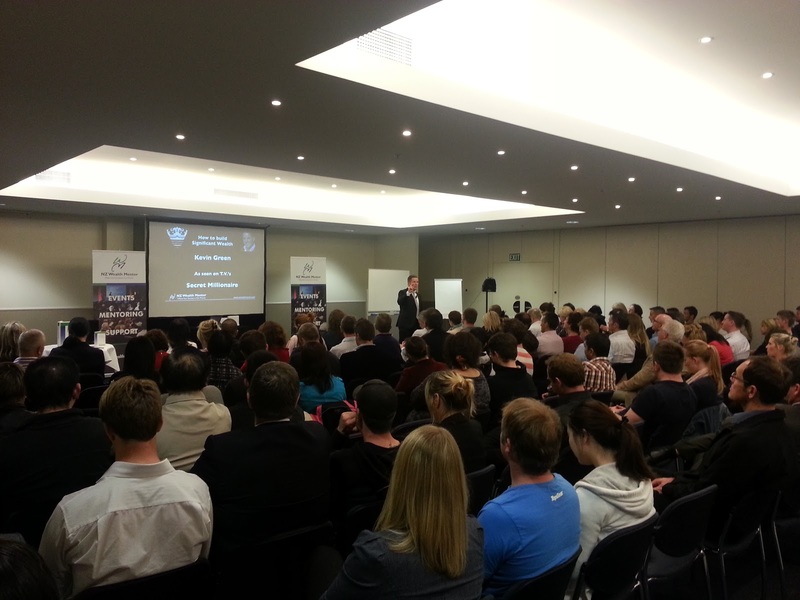 Auckland was the first of six public speaking engagements in New Zealand. They were a great crowd. There'll be more news on the New Zealand adventure soon . . .
Busy couple of days. 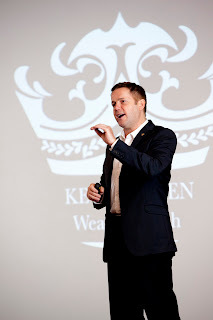 Working on 90-Day Kevin Green Wealth Business Coaching start-ups today and tomorrow. I just love helping others follow in my footsteps. Excellent meeting yesterday with a housing charity. Found we have lost of common ground on rentals and empty homes. Hopefully, more news on how we can work together will follow. Big week next week with the launch of the Entrepreneurship Academy Wales. A first-of-its-kind Academy for young entrepreneurs is to be officially launched in Swansea. The free, one year programme leads to a BTEC qualification in Enterprise and Entrepreneurship and is open to aspiring young business leaders aged between 16 and 19. The Academy is endorsed by local entrepreneur and ‘Secret Millionaire’ Kevin Green, with further sponsorship support from Euros Jones-Evans (Telesgop), Admiral Insurance, Clive Murphy (Trojan Electronics), Andrew Downie (Netbop), Dave Kieft (RDM Electrical.) A number of other businesses are also getting ready to sign up to sponsor these aspiring entrepreneurs of the future. “We are passionate about inspiring the next generation of young entrepreneurs from across Wales and are delighted to work alongside our partners to develop the talents of these exceptional young people,” says Sue Poole, Education Enterprise Manager at Gower College Swansea, which is delivering the Academy. 13 students have already signed up for the course, with one young entrepreneur moving down from North Wales to take the course. Delivered from the Innovation Foundry, the Academy promotes a philosophy of ‘learning by doing’ that sees students working alongside successful entrepreneurs who will also deliver part of the curriculum, completing workshops and masterclasses. The students will also undertake an internship with business partners and ultimately start their own businesses. “I, personally, would have benefitted from an initiative like this when I was in school,” says Kevin. “With a lot of hard work and passion, these students will go on to become the business leaders of tomorrow and I’m very proud to be involved and to be able to lend my support from the earliest stages of the process. For more information/photos please contact Allison on 01792 284262. Great start to the day yesterday at the Young People's Business Breakfast held at The Marriott Hotel, Swansea. 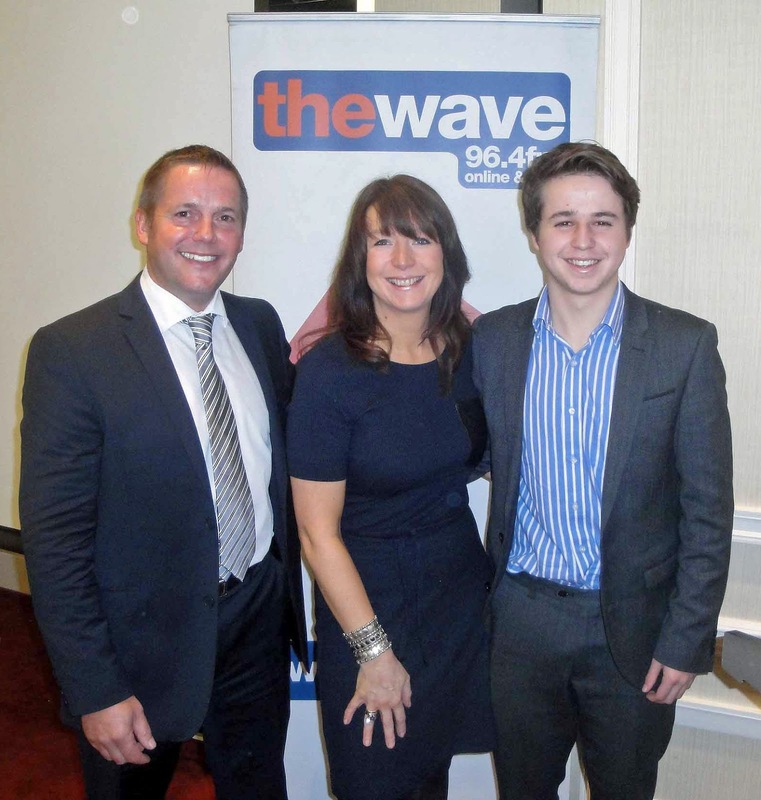 The event was hosted by Helen Bowden, station manager at Swansea Sound-The Wave. I was one of the guest speakers. The other was Fraser O'Brian, the 18-year-old Porsche racing driver from Abergavenny. There'll be more from this event a little later . . . The Young People’s breakfast is being held on October 2nd at The Marriott Hotel, Swansea. The breakfast will start at 7.30 am at a cost of £6 per person. One of the speakers will be Fraser O’Brian, the 17-year-old Porsche racing driver who also has sent up a business networking website called Driving Wales Forward. I'll also be talking about about setting up your business and what the workplace looks for in new employees. The event will be hosted by Fred Cooper from Swansea University. 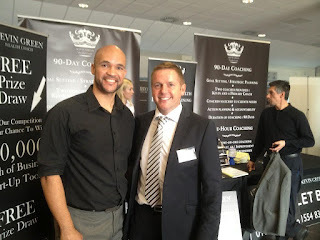 I had a great time at the big Introbiz business show at Cardiff City Stadium yesterday. The event started with a business breakfast and networking opportunity, but my moment in the spotlight was later in the day when I acted as the keynote speaker at the event. 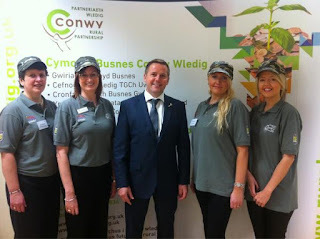 It was great to talk to so many business people from throughout Wales. The Introbiz team had worked very hard to make the event a success and the feedback during the many networking opportunities was excellent. Among the many people I met was Gwenno Dafydd, the broadcaster and leadership coach. Gwenno was kind enough to give the following quote to my PR man: " He (Kevin) was very generous with his time and his advice to everyone and seemed very approachable and genuine." Meanwhile, Gwenno will be on Jason Mohammed's new programme on BBC Radio Wales today from 11.00 to 11.30 today. Tune in! 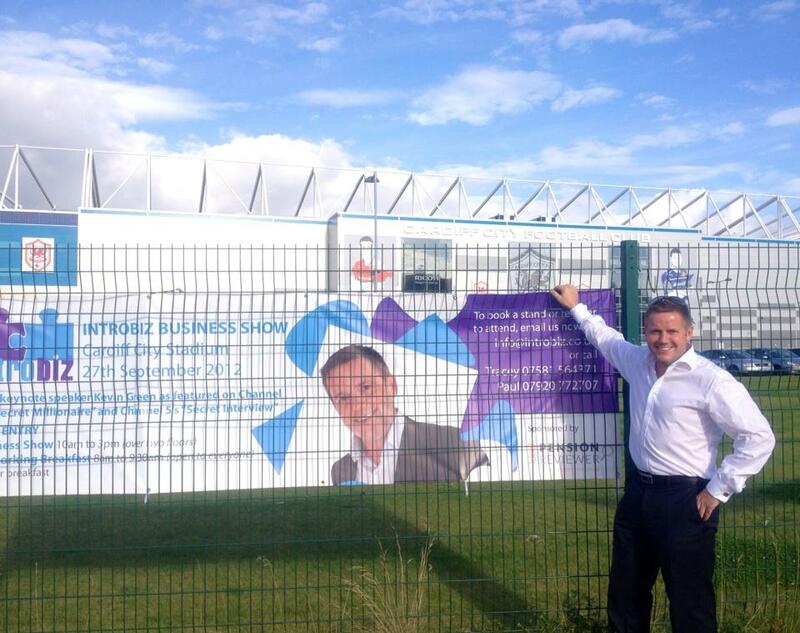 Looking forward to being the keynote speaker at the Introbiz business show in Cardiff today. There's a big crowd expected and plenty of stands, including one representing Kevin Green Wealth. 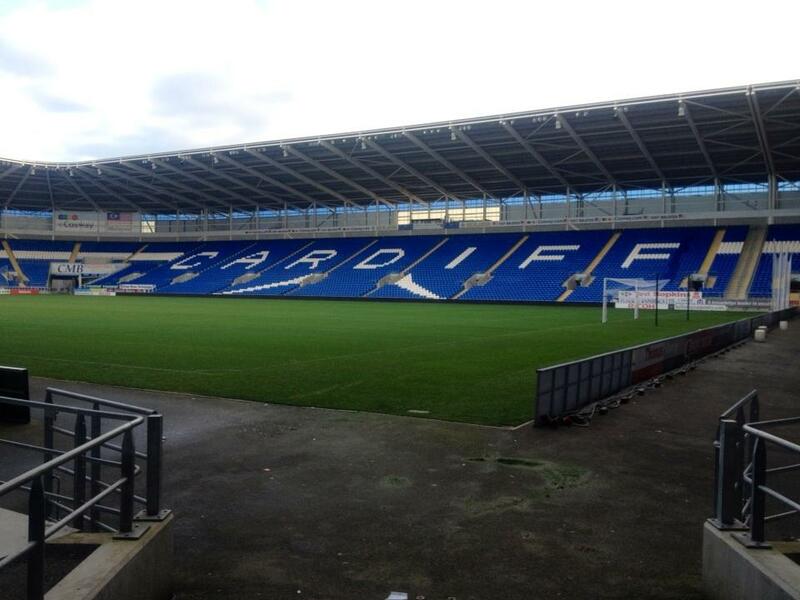 The venue is Cardiff City stadium. Today, I am busy business coaching. My clients are beginning their 90-day 'life-changing' journey. It's been a busy and memorable week. I'll have some more news on the Secret Interview front shortly. 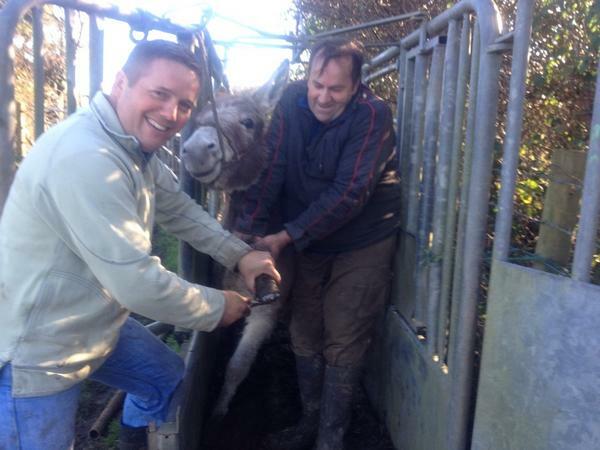 Meanwhile, saw a big commercial loan from Lloyds Bank approved this week. And I've been busy talking to journalists in North Wales about a Boot Camp project coming up in North Wales. More details will follow . . . just watch this space. Had some brilliant feedback this morning to the screening of the Secret Interview on Channel 5 last night. Thanks for all your emails and Tweets. 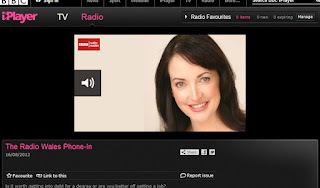 Been a busy week for media work - on the Roy Noble Show on Radio Wales yesterday afternoon. Have just finished recording an interview for the S4C (Welsh Channel 4) show Sam ar y Sgrin, which goes out on Friday night. This evening, I am on the new Secret Interview series on Channel 5 - you may have seen the previews on various TV guides in the national newspapers. The programme is on at 8pm. Set your recorders if you can't get to watch it live. It should be great viewing. It's been a busy week with lots of meetings, so it's good to be wearing a different sort of hat this evening. Tonight, I am back in action as a 'Dynamo' role model for the Welsh Government. As one of the Dynamo team, I regularly turn out to help guide and inspire young people. This evening, I am talking at the EYST, Ethnic Youth Support Team, in Swansea. The team is based in St Helen's Road, Swansea, and the evening is being organised by 'Menter a Busnes'. I'm looking forward to meeting the EYST team. Here's the latest press release about my appearance at a major new business show in Cardiff. More information on the weblink and on the previous post. 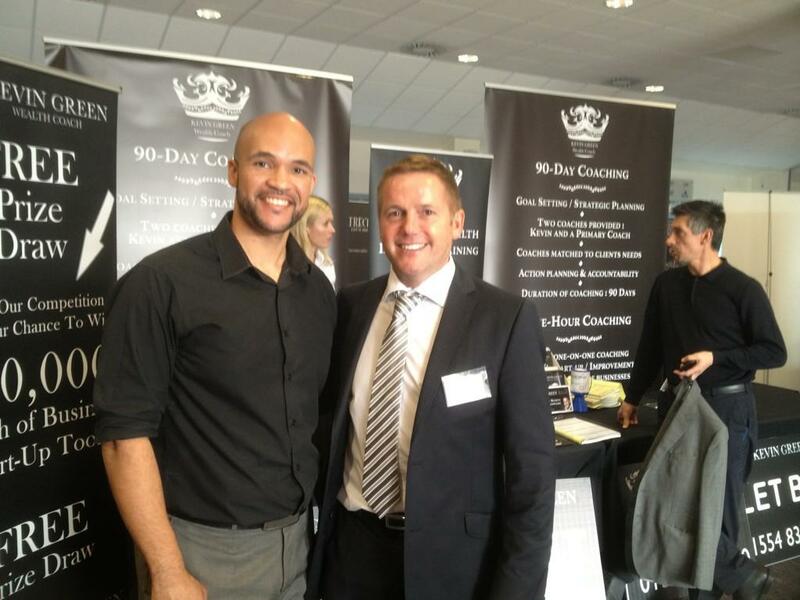 South Wales entrepreneur and millionaire Kevin Green is to top the bill at a ground-breaking South Wales business show. 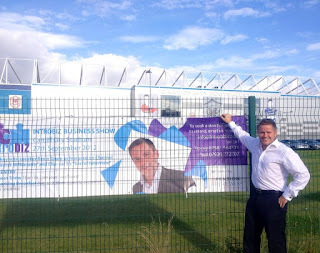 Green, currently in the news for the new Channel 5 show ‘Secret Interview’ will be the keynote speaker at the first Introbiz business show at Cardiff City Stadium on Thursday, September 27. 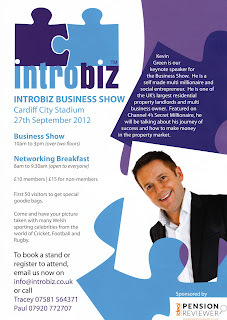 Introbiz founder Tracey Jenkins said: “We are delighted to be able to announce Kevin Green as our main speaker for the event. 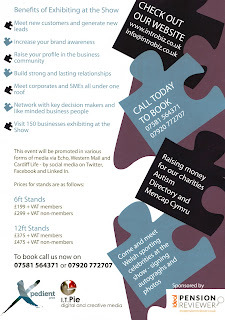 “The business show has already attracted huge interest across South Wales. 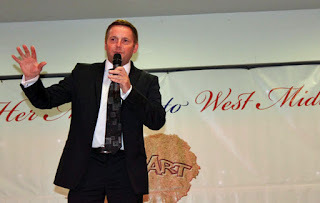 Kevin Green is known as an exceptional business and motivational speaker. He is a big draw in his own right and we are very excited to have him on board as our keynote speaker. Green said he was looking forward to the event. “The Introbiz team are building an excellent reputation for providing successful platforms for business networking. It should be a great event,” he said. 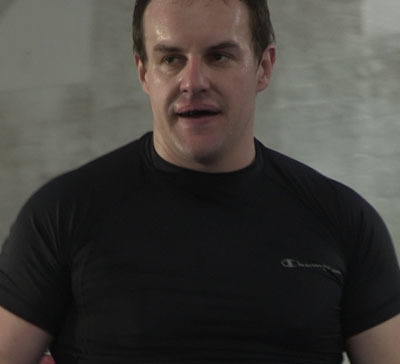 Green’s TV CV includes being featured on Channel Four’s Secret Millionaire and Sky’s The Devil’s Dinner Party, in addition to his appearance on the Secret Interview. The business show will run from 10am - 3pm and occupy two floors at the stadium. There will be a networking breakfast from 8am - 9.30am before the opening. The event will be attended by Welsh sporting celebrities and will help raise money for the Autism Directory and Mencap Cymru. I'm looking forward to this event next month - Introbiz Business Show at the Cardiff City Stadium. Channel 5 have confirmed the Secret Interview episode featuring yours truly will be broadcast at 8pm on Weds, August 29. 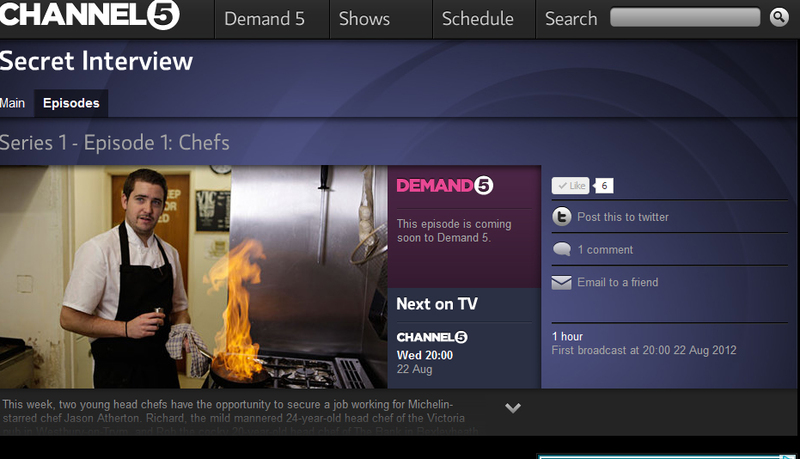 Did you spot the trailers running on Channel 5 last night for The Secret Interview? I guess they will be running all week now. The episode featuring yours truly is due to air on August 29 (will confirm later). 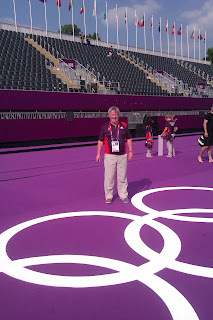 My PR man, Robert Lloyd, is back in work after his stint as a volunteer with the GamesMakers at the London 2012 Olympics. 'Team Green' was happy to give him the time off! He's pictured at the Hyde Park venue, obviously considering taking up the traithlon very soon! Whoops, started by saying 'Good Morning', when it should have been 'Good Afternoon', but apart from that there was a good debate on A Levels, education and the value of university studies on the Radio Wales phone-in with Mai Davies today. I will be on the Radio Wales phone-in programme, from 12noon today, talking about A levels and education. The 'Secret' is out about my new Channel 5 programme. It’s all been very hush-hush and I couldn’t even tell my closest friends what it is all about. Channel 5 took the wraps off the pre-publicity campaign today and I can now reveal the show is going to be called ‘Secret Interview’. Filming was carried out earlier this year we have been busy shooting at different locations in West Wales and beyond. 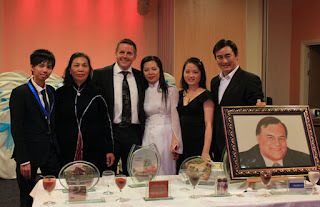 The show follows my other TV appearances on Channel Four’s Secret Millionaire and Sky’s The Devil’s Dinner Party. The Secret Interview will be unlike anything I have done previously. The show will put eight unknowing people through an interview process they will never forget. The unwitting candidates believe they are filming a documentary about their workplace. In fact, they are about to have an interview for the job of a lifetime without even knowing it’s happening. Each of them will be tested to their limits by a team of undercover actors intent on causing utter chaos. Meanwhile, their prospective new boss watches everything. Other stars of the Secret Interview will be Michelin starred chef Jason Atherton, the editor of women’s magazine Glamour Jo Elvin and hair stylist to the stars Nicky Clarke. For the candidates, it’s going to be the working week of their lives and every move they make could take them a step closer to a job with the Secret Interviewers that could transform their world. Watch out for episode two, when a pair of hopeful estate agents come up against bogus buyers and tenants from hell whilst having to remain calm and collected. Co-produced by Twofour and GroupM Entertainment, Secret Interview will air on Channel 5 later this month. The series is made up of 4 x 60 minute episodes that will air from late August. The primary role of GroupM Entertainment is to produce, finance and distribute entertainment properties for a wide range of international TV and digital markets. The company's primary business interests extend across all media platforms and a variety of genres, including entertainment, factual entertainment, factual and drama. Channel 5 was launched as Britain's fifth and final terrestrial broadcaster in March 1997. 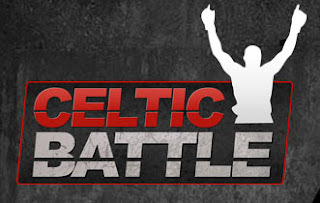 In July 2010, the network was sold to British media powerhouse Northern & Shell and it currently attracts well over 30 million viewers a week. 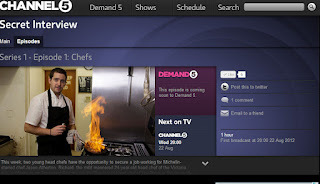 Channel 5 is the destination for must see entertainment, sport, documentary, kids, drama, film and news output. Pivotal channel programming includes a diverse mix to attract viewers of all age, including the Extraordinary People and Revealed strands, Cowboy Builders, The Hotel Inspector, , The Gadget Show, Home & Away, Neighbours, 5 News as well as the award winning children's strand, Milkshake! In addition it is the terrestrial home of all England Cricket summer Internationals. Joining their highly successful crime drama franchises in 2012 are two big new US acquisitions – fantasy drama Once Upon A Time and the hugely anticipated return of a revamped 21st Century Dallas. Great day yesterday at the new 'Innovation Foundry' at the Dylan Thomas centre in Swansea. Although they have very different business models in mind, from event management and photography to art and property development, all four agree on one thing - that this is an exciting, once in a lifetime opportunity. Busy morning. I am off to the Dylan Thomas centre in Swansea to launch a new Wales-wide Academy for young entrepreneurs. The Entrepreneurship Academy Wales is looking for young entrepreneurs who have the drive and determination to take their ideas onto the steps to business success. Just 16 places are available for the BTEC Level 3 Diploma in Enterprise and Entrepreneurship starting this October. The course is being delivered by Gower College Swansea. Some nice coverage in the local Press today. Smashing picture story in the Carmarthen Journal about the 30-year reunion for Gelli Aur agricultural college students, including a young-looking Kevin Green! Splendid half page feature in the Llanelli Star about my work helping to inspire pupils at Coleg Sir Gar's recent Business Challenge event. And the South Wales Evening Post also carried a story about the event. It's a case of 'book early' for my next two-day Wealth Intensive Training seminar in September. I'll share my successful in-depth high-profit structures, giving delegates a complete toolkit to wealth creation. The price is just £20 per seat with proceeds to the Make-A-Wish Foundation UK. I am an ambassador for the charity. Both days begin at 8.30 am and finish at 6pm. 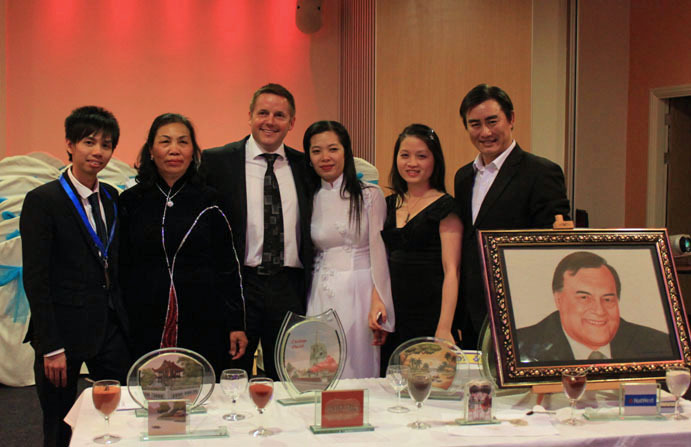 Venue: Radisson Edwardian Heathrow Hotel, 140 Bath Road, Middlesex, UB3 5AW London. Kevin shares his own business experiences with a hands on approach. The media has often referred to Kevin as being "Exactly what it says on the tin" meaning he does practise what he preaches.There are no 'up sells' to futher trainings, the product that delegates choose is 90 day business coaching from Kevin and his team subject to Kevin's availability. The 48-year-old dyslexic, who featured on Channel 4's Secret Millionaire, was homeless in 1984. Today his property portfolio runs into the hundreds. He has a wealth of experience in the property investment world and heads a number of successful companies and other non property related businesses. Before making his fortune in business he was a successful dairy farmer. In 1999 he won a Nuffield Scholarship in agriculture and studied the attitudes and personalities of high achievers. He also interviewed the likes of Bill Gates and Sir Richard Branson. During the study he learned the simple principles for success and determined the common elements that contributed towards that success. He bought his first property soon after, using credit cards to bridge finance the deposit of a buy-to-let mortgage. 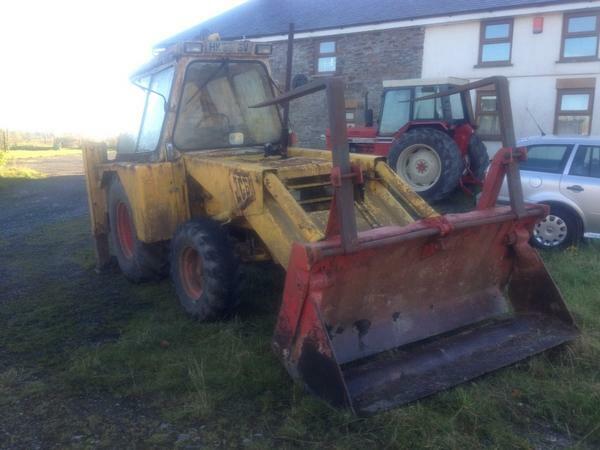 After quickly renovating it and selling it at a profit, he bought a second. The rest is history. Over the last decade Kevin continues to thrive in business and chooses to give back to the next generation of entrepreneurs by sharing his knowledge and wisdom. His speciality talks include motivation, empowerment and coaching. He enjoys giving businesses and organisations an insight into what it takes to become successful in the business world. 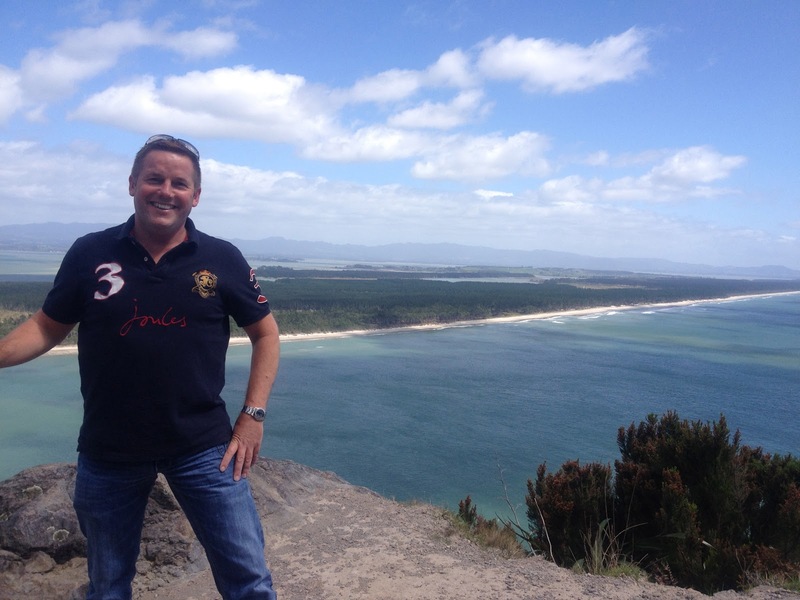 Kevin loves to educate, motivate and inspire others and his passion and enthusiasm is quite infectious. His down to earth approach is often referred to by those who know him as ‘exactly what it says on the tin’. he is one of the few educters in the U.K. who when searched actually has an extensive wealth of business experience, unlike some others in this industry who tend to make false claims to their wealth. 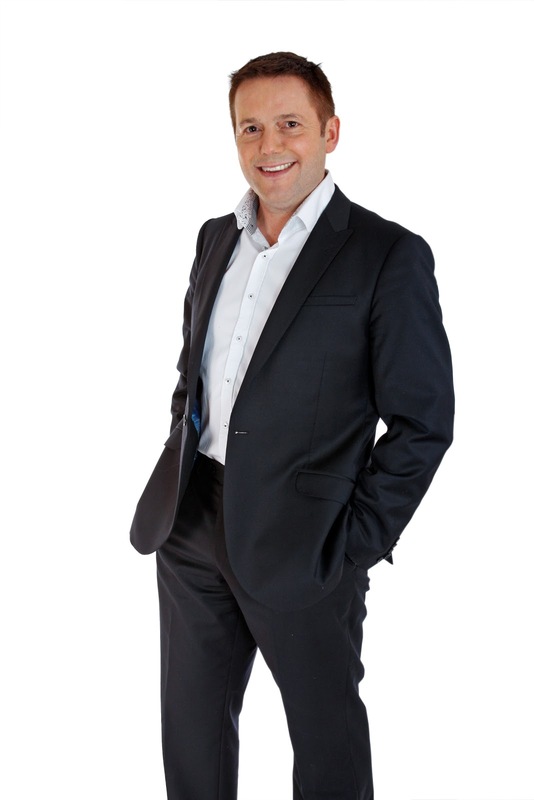 These qualities have catapulted him into worldwide demand as a speaker at conferences, dinners and business seminars. Kevin has travelled throughout the UK, Asia, Australia and New Zealand in the past year and has spoken on the same stage as Sir Richard Branson. 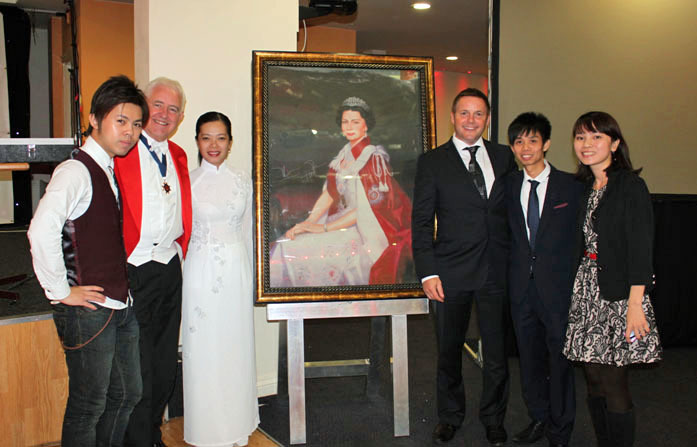 Some of his clients include British Airways, Yorkshire Bank , Success Resources, Dymano Government projects, Prince's Trust, UK Government Techniums, New Zealand Wealth Mentor, Australia Ideas To Empires, Singapore/Malaysia Tigrent Learning, Rich Dad education, Make-A-Wish Foundation, Get Motivated and Triumphant Events. Kevin is a regular commentator on property and business within a cross-section of UK and international media resources. 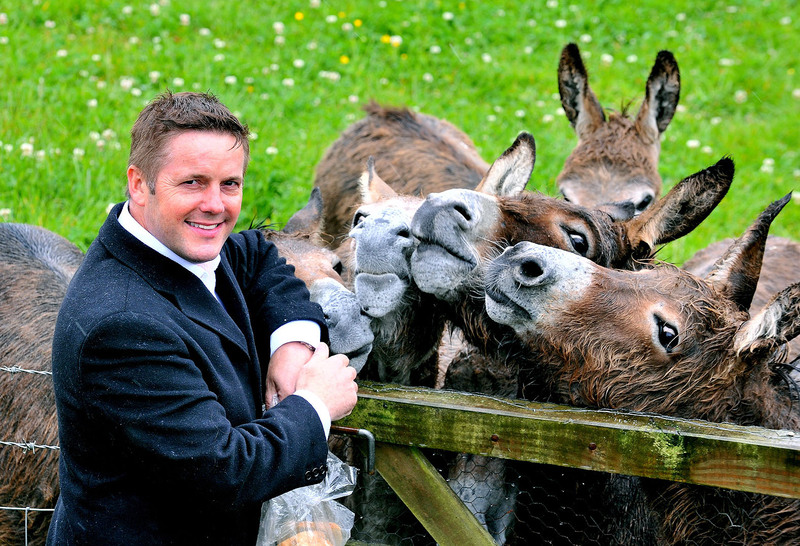 The dad-of-three has personally contributed more than £300,000 to Make-A-Wish Foundation UK. He is also a Welsh Goverment Dynamo role model coach and a member of The Professional Speaking Association. See http://www.kevingreen.co.uk for more information. 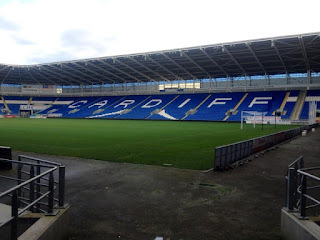 My PR man, Robert Lloyd, has just been asked to provide a press release for the Llanelli Star newspaper on the recent Coleg Sir Gar event at Parc y Scarlets. The Dragon's Den-style event saw children from all the feeder schools for Coleg Sir Gar take part in a competition for the best business idea. “The judging was difficult as they all came up with innovative ideas. We had to pick one winner, but they were all winners!" Very busy weekend at my two-day Wealth Intensive Training seminar in London. 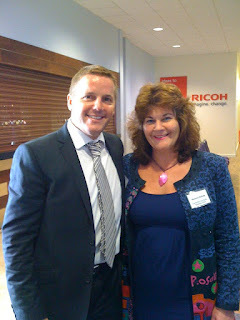 We had some great speakers, including Kevin McLernon, the winner of ITV1's The Biggest Loser show. Kevin shared his story of how he came to apply for The Biggest Loser. Kevin will be working with 'Team Green' in the future and I will be helping to coach him. @kevingreenwales thanks for a great weekend of training! Enjoyed every minute of it! 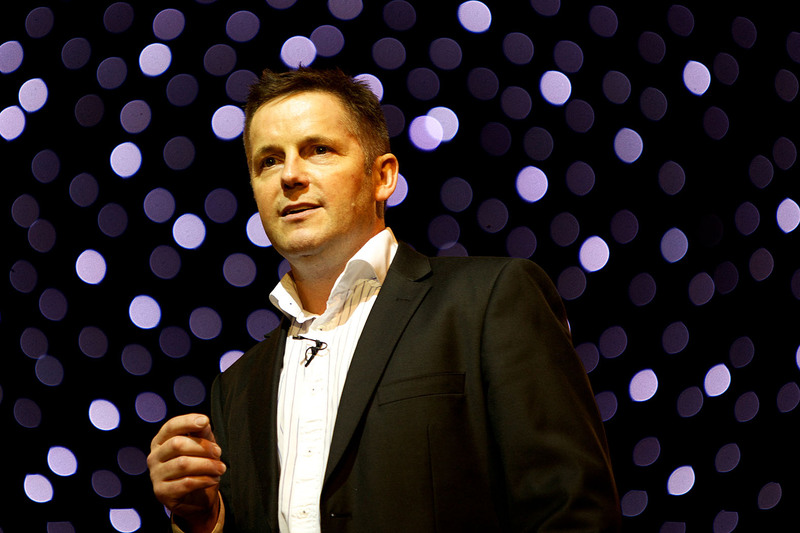 @chrisrowell: @loulew218 rocked it on stage at #teamgreen@kevingreenwales event - excellent job. Louise Kelly designs are the best! Thanks! 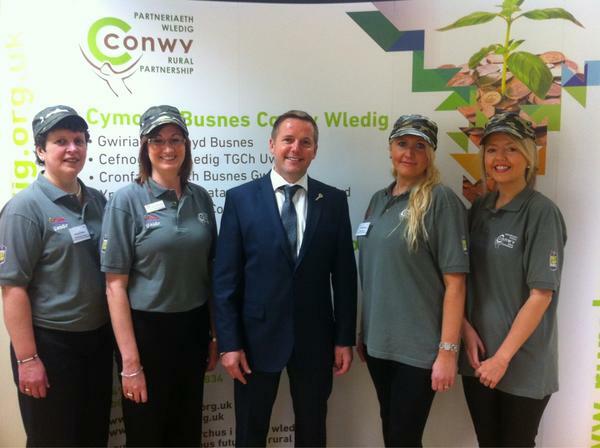 @kevingreenwales Thanks Kevin for your words and ideas of wisdom for investment today. Busy day today in London at the start of my two-day Wealth Intensive Training seminar. 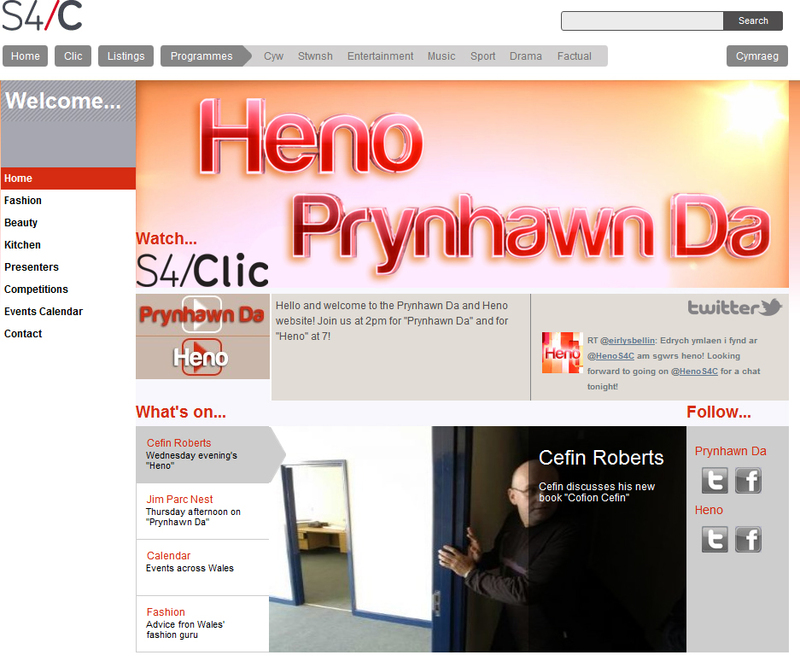 I'm scheduled to appear live on the 'Heno' Welsh language TV magazine show on S4C (the Welsh fourth channel) tonight. I will be talking about my new wealth app for mobile phones and about building wealth. The show goes on air from the Tinopolis Studios in Llanelli town centre. The show does carry sub-titles for those who don't speak Welsh. 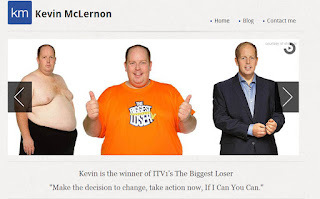 Kevin McLernon, the winner of ITV1's The Biggest Loser show is to join our Wealth Intensive Training programme on Saturday as a guest speaker. Kevin has agreed to share his story of how he came to apply for The Biggest Loser. It's a story of commitment, action-taking and putting yourself out there. He started the programme as the heaviest man ever to enter the competition at 32 stone and 2lbs. Twenty-four weeks later Kevin went on to lose 40% of his starting weight, with a final weigh-in of 19 stone 4lb, a 12 stone 12lb loss, more stones and pounds than any other contestant ever in the UK. Anyone interested in furthering their education in Carmarthenshire should keep a look-out for a new booklet on community education courses. It's out now in libraries and community centres in Carmarthenshire. The booklet for the latest Learning Carmarthenshire community education courses has some smashing Tim Jones pics of yours truly at the recent awards bash at Parc y Scarlets. 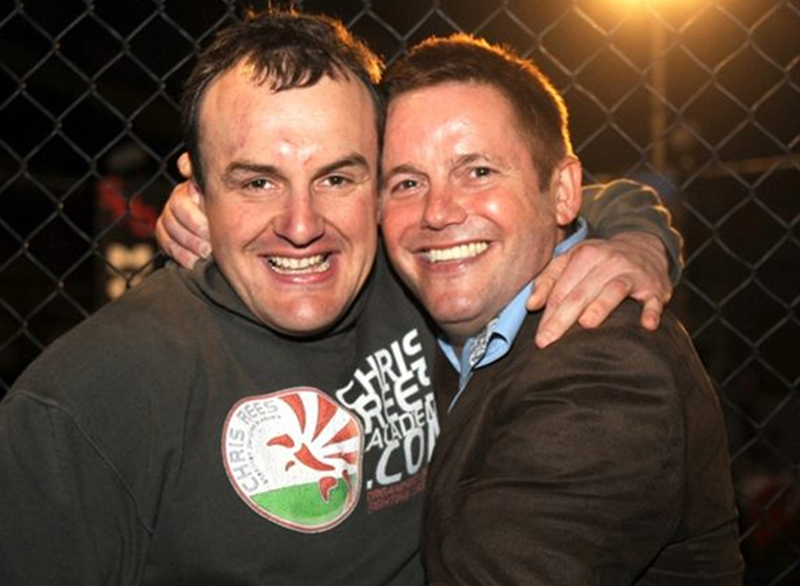 Congratulations to my pal Euros Jones-Evans on winning his first ever cage fight at the weekend. Pictured above - yours truly giving the thumbs-up, with Sean Holley, Matt Barry and Euros, just after his fight. Television executive Euros was fighting in a Semi-Pro MMA (mixed martial arts) bout in Carmarthen as part of the Celtic Carnage Welsh Power and Strength weekend. Euros, commercial director with Welsh independent television producers Telesgop, happily labels himself a white-collar worker with no previous experience with MMA Mixed Martial Arts. He had never set foot in a cage before Saturday night. Euros did practice some martial arts in his teens. The move to MMA started in January 2012, when he enrolled in the Chris Rees Academy. Euros began learning Mixed Martial Arts and Brazilian jiu-jitsu with the Gracie Barra Predator Team. Chris Rees is the only instructor in Wales to hold a black belt in Brazilian jiu-jitsu, with more than 20 years of Martial Arts experience behind him. He also holds Black belts in Traditional jiu-jitsu, Shotokan karate and Aikido. Chris quickly saw potential in Euros and gave him a reason to train. Euros took it as a personal challenge to take on the Semi-Professional bout in the MMA fight. Euros said yesterday:" What a battle! Still sore today. Dan Williams gave me a good fight! My first win in MMA, thanks to all the guys and especially Chris Rees. Thank you for all your messages." Skipton Building Society have launched two buy-to-let tracker mortgage‬ products. Pay rates around 4.5 % and 75 % LTV, fair deals. Raging toothache at the weekend. The dentists in Murray Street, Llanelli, came to the rescue. It was good to catch up with old student colleagues from Gelli Aur in the Towy Valley. See if you can spot me in the photo above! Former agricultural students of Gelli Aur College, the Class of 1981-82, gathered together for a 30-year reunion. They were very pleased to be joined by Mr Gerald Curtis, one of the former lecturers. The day kicked off with coffee at the Coleg Sir Gar campus at Gelli Aur. There was an update on changes and improvements which have taken place at the college farm. Aerial photographs were shown, comparing how the original farm layout had been replaced by modern structures. A buffet lunch was enjoyed beneath glorious sunshine to the sound of much chattering before departing to Cwrtmalle farm, Llangynog, Carmarthen. 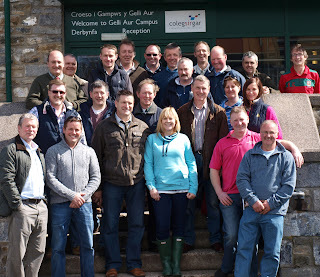 At Cwrtmalle, the former students saw the 2,000 cow super-dairy owned and managed by Mr Howell Richards, who was also a student at Gelli Aur during 1981-82. Howell gave an interesting tour explaining how he was following an American model where the focus for the owner is on management principles rather than just getting hands dirty. The dairy has a team of 22 staff, operating under the watchful eye of Howell’s wife Susan. One of the former students, Ian Howell (now a partner with Rees Richards and Partners property consultants) said: "Whatever the individual’s view is of super-dairies the cows seemed very content with life!" He added: "To finish off the day, the party attended a ‘fine dining’ experience at the Cawdor Hotel, Llandeilo, where Mr Kevin Green (star at Channel Four's Secret Millionaire and also part of the 1981 Class) gave a motivational talk on his life-changing move from dairying to property development. "Mr Green is now the largest private sector residential landlord in the country. "It was certainly interesting to see where the students' various career paths had taken them - including psychotherapy, behaviour therapy, photography, avionics technology, sales and trading, property development, management and construction, salvage and, last but not least, farming. "Despite the wide range of careers followed, everyone agreed that their time at Gelli Aur had provided a solid foundation to their education. "A significant part of this had been the experience of dormitory living in the Gelli Aur Mansion House. "This house, which along with farming has suffered its ups and downs during recent years is hopefully now entering a positive future with the charitable trust which has acquired the property during recent months with a view to restoring it from its current sorry state to an art gallery and other uses for public benefit." Pictured above: the former students at their reunion. Kevin Green is second from the left in the front row. Ian Howell is top left. Busy start to Friday 13th. Had a breakfast meeting with the team at Llanelli Women's Aid to see if I can help in any way. I've agreed to appear live on the 'Heno' Welsh language TV magazine show on S4C (the Welsh fourth channel) on Thursday, July 19. I will be talking about my new wealth app for mobile phones and about building wealth. The show goes on air from the Tinopolis Studios in Llanelli town centre. There are still a few seats left for the two-day 'Wealth Intensive Training' course taking place in London, July 21-22. But, hurry, as the event is filling up fast. It's my pleasure to invite you to attend the Two-Day Wealth Intensive Training course. I've just agreed to be the guest speaker at a 'Business Boot Camp' in the heart of rural Conwy in North Wales. It's happening on November 9. It was great to be asked to speak at the Pure Art event in the centre of Birmingham at the weekend. The event brought together the world of art and business as it doubled up as an art show and networking event. The event was organised by Ocean Services and Trade Ltd, the leading agency which specialises in showroom exhibition, import-export, international education and event organisation. The company has the aim of bringing the best of east and west together in one forum. The displays featured work by the talented Vietnamese artist Tri Duc. Visitors to the show also had the chance to try making sand paintings during the event. It was nice to receive a couple of thank-you notes after the event. On behalf of Ocean Services and Trade Ltd, we would like to express our sincere thank for your attendance and your inspirational speech about your journey to success to our audiences. 'Just a quick word of thanks for the excellent Sand Art event on Saturday it was extremely entertaining and I hope you raised a significant amount at auction for the impressive Sand Painting of the Queen. I was also very impressed with speaker Entrepreneur Kevin Green who gave an inspirational speech on his approach to life, charity work and business. I think our students at Birmingham Metropolitan College would find his views and style of presentation something they could be relate to a want to emulate'. I normally fall asleep when someone gets up on stage to do a presentation. Saturday afternoon, sitting in the front row at Birmingham, when you came on stage I thought here we go again. As you spoke my ears pricked up, your goal and aspirations sounded very familiar. Aston Martin DB9, financial abundance, what is it that make people tick, charitable causes for children, to mention a few I came back home to London thinking we are both about are about the same age with similar goals. What do I need to do to reach similar heights? I believe those words Richard Brandson passed on to you are key. Today, is the first day of the rest of my life with a completely different perception. Thank you, Kevin.